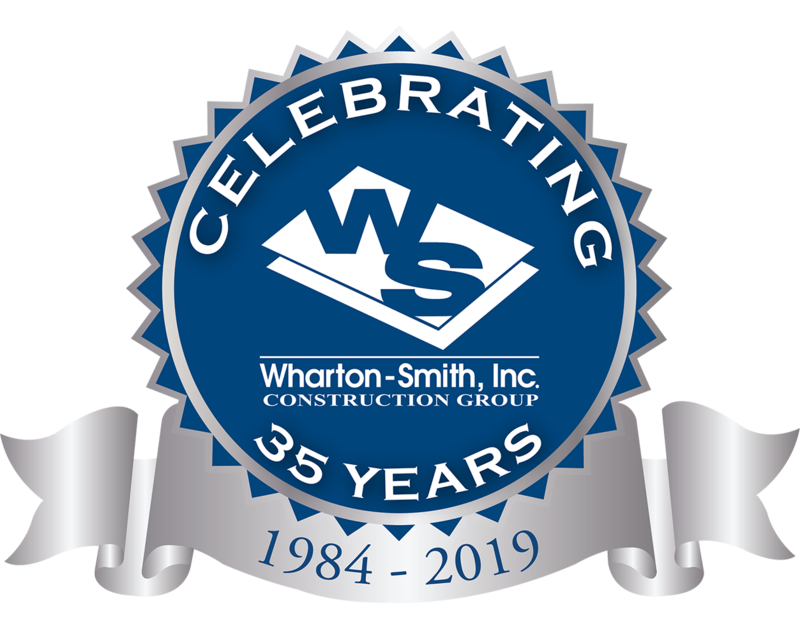 Wharton-Smith Construction Group to Celebrate 35th Anniversary This Week | Wharton Smith, Inc.
April 1, 2019 – Sanford, FL – Wharton-Smith Construction Group will celebrate their 35th Anniversary this week at the Sanford Florida Headquarters by hosting a Corporate Reception on April 4 for clients, community leaders and industry partners. Wharton-Smith was established in 1984 by George Smith, who remains the Chairman of the Board, and the late Bill Wharton. Over the last 35 years, Wharton-Smith has built a reputation for honesty, integrity and quality construction and is among the leading contractors in the South. Headquartered in Central Florida, and with seven branch locations (Gulfport, MS, Baton Rouge, LA, Charlotte, NC, Houston, TX, Tampa, FL, Ft Myers, FL and Jupiter, FL), Wharton-Smith employs over 600 team members and specializes in both in water and commercial projects with an emphasis on water and wastewater treatment facilities, schools, entertainment and sports venues, municipal projects, hospitality and senior living facilities. “Bill and George met in Ohio in 1966 while working for Bay-Con, which was expanding into Florida. Ten years later, the two took the risk of a lifetime as Bay-Con closed its doors. Bill and George mortgaged their homes and started out on their own. “Their leap of faith has grown into one of Central Florida’s largest general contractor and construction management firms,” says Ron Davoli, President and CEO of Wharton Smith. “Today, the Wharton-Smith leadership team strives to maintain the culture fashioned by its founders – hard work, integrity, giving back to the community and every once in a while taking a leap of faith. Thirty-five years later we are proud of what we have accomplished and so grateful for their fortitude,” Davoli added. Wharton-Smith has grown into a regional company with international reach. Tim Smith, Executive Vice President at Wharton-Smith, said, “Our heritage is built on improving the quality of life wherever we do business. It’s our passion.” Wharton-Smith is expanding into new markets and broadening their market share in the South. “This is a very exciting and proud time to be a member of the Wharton-Smith team,” said Smith.